Oftentimes, the term "cooking with cannabis" conjures up images of giant plastic-wrapped cookies, special lollipops, and magical brownies tucked into colorful hobo bags and eaten on the way to a concert or festival, consumed for the sole purpose of getting high. And yeah, sometimes it is that. But sometimes, it's so much more. 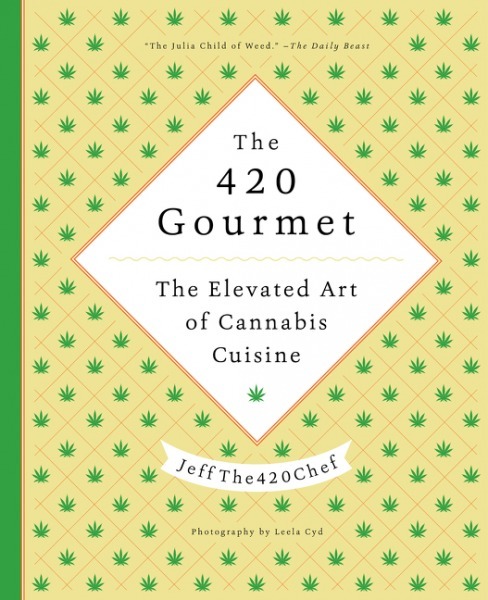 The newly released cookbook by JeffThe420Chef, aptly named The 420 Gourmet, ditches that stereotype by introducing us to CBD (cannabidiol), the medicinal compound in cannabis that "helps with numerous health issues, especially when combined with a low dose of THC (tetrahydrocannabinol)". Jeff started making edibles for the mother of a friend who was being treated for cancer back in 2012. His goal being to create edibles from strains of cannabis that contained more CBD, so that instead of feeling loopy, she would feel relief. This led to helping friends suffering from fibromyalgia, debilitating PMS, joint pain, headaches, chronic migraines, and pain after a major surgery. Through research and practice, he learned how to properly dose his edibles with just the right CBD:THC ratio, and began seeing the medicinal power of cooking with cannabis firsthand. "Creating edibles and full meals that didn't impart a heavy dose of THC was tricky. This meant I had to focus on low dosing, which allows people to have a full cannabis-infused meal or a handful of delicious homemade cookies, rather than just a bite or two of a not-so-great-tasting commercial cookie." 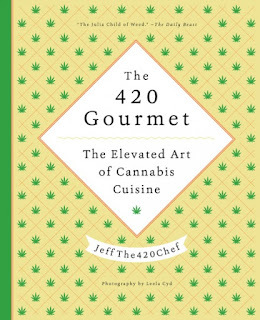 Jeff began teaching others how to cook with cannabis for themselves and the more he learned through his research, the he realized his desire to help others feel good could be done on an even greater scale, hence the creation of this cookbook. What I think is really great about this book is that it doesn't just go straight to the recipes. Instead, it starts by teaching the reader how to Understand Cannabis with a chapter that talks about knowing and understanding ingredients, knowledge of the herb, and details about the various strains and their effects. You'll find a chart that lists the strain followed by its species, CBD%, THC%, CBD:THC, and what that strain is used for (helps alleviate pain, stress, migraines, inflammation, fatigue, etc). Next he introduces the art and science of cooking with cannabis so that your food not only looks and tastes great, but also gives you your desired results and proper dosing. This chapter includes things like knowing your percentages, activation and infusion, cooking times and temperatures, measurements for meals, and controlling potency. There are also rules for hosting "420 Meals" so that both you and your guests have a successful and pleasant experience. "Regardless of your edible goals, make sure you research the strains of cannabis you're planning to cook with and understand their purported entourage effect before you buy them." The last chapter in the introduction is all about how to use the cookbook. Here you'll find calculators and conversions and instructions on how to use them per recipe and per serving. Then you can move on to the recipes armed with your knowledge. Everything starts with the basics in Chapter 1 of Part 2—Butters & Oils. These butters and oils will be the method for infusing the cannabis into all of the recipes that follow. So, whether you're already cooking with cannabis, want to cook with cannabis, or are just interested in learning about cooking with cannabis, The 420 Gourmet is a pretty amazing resource to be armed with. Part 1 alone has inspired me to do more research into the subject since I'd love to know more about using natural methods, like cannabis edibles, for medicinal purposes. 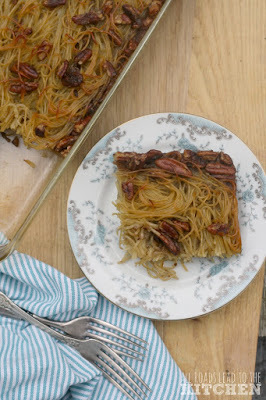 Plus, both of the recipes that I cooked from the book so far were delicious, so there's that. synopsis: The foodie’s guide to cannabis: a smart, sophisticated, and beautifully illustrated cookbook for at-home chefs wanting to safely create and experience their own edibles. JeffThe420Chef is revolutionizing the world of edibles. He first began cooking with cannabis to help a close friend’s mother manage the pain, nausea, and discomfort from her cancer treatments. Over time, he developed a specific process that effectively neutralizes the smell and taste of cannabis when infusing it into butters and oils, leading to a new understanding of edibles and their potential for medicinal use. 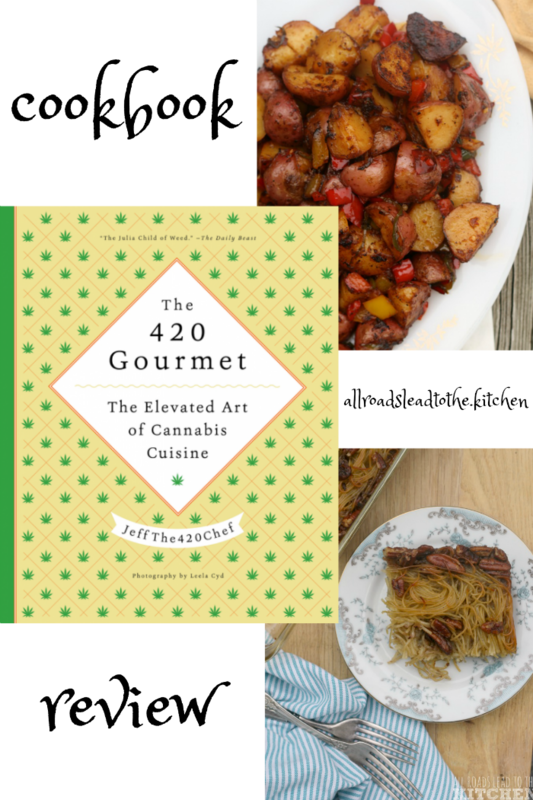 In The 420 Gourmet, JeffThe420Chef, combines his fun-loving approach to cooking with practical information about marijuana—including specific guidelines for safe dosing (along with a comprehensive dosage calculator), summaries of the principal strains and their typical effects, and details on the herb’s medical and recreational benefits. Jeff includes the step-by-step process for his signature “light-tasting” canna-butter and canna-oils, the secrets behind his outrageously delicious and truly unique recipes. Once you create these staple ingredients yourself, it is easy to incorporate cannabis into everyday dishes—the “pot-sibilities” are endless! From brunch and small plates to salads and gourmet dinners—and featuring gluten-free, vegetarian, vegan, and kosher options—The 420 Gourmet elevates the edible experience. And by following Jeff’s dosage guidelines, the culinary cannabis experience will no longer be limited to a single bite of a brownie. These mouthwatering recipes are fully adaptable to your goals, whether you need a full-course meal for nourishment and pain management or a quick snack to help you focus, relax, and enhance your creativity. The 420 Gourmet will educate and entertain new and longtime cannabis users alike, while serving as the ultimate guide to cannabliss. 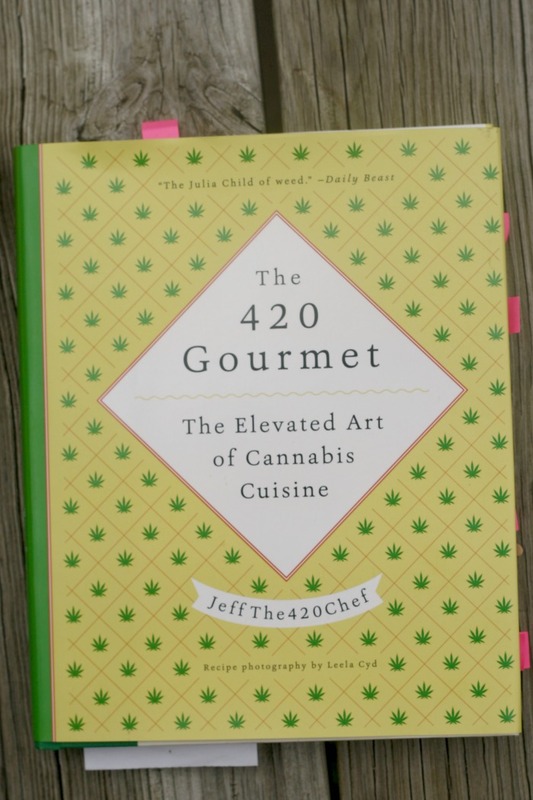 about the author: JeffThe420Chef started cooking and baking discreetly with cannabis for friends and celebrities who had medical issues ranging from insomnia to back pain to cancer. He now teaches his canna-butter class, “The Art of Cooking with Marijuana,” across the country in medical and recreational states, and cooks for private parties in California, Colorado, Oregon, Washington, Alaska, and Washington, DC. He lives in Los Angeles. 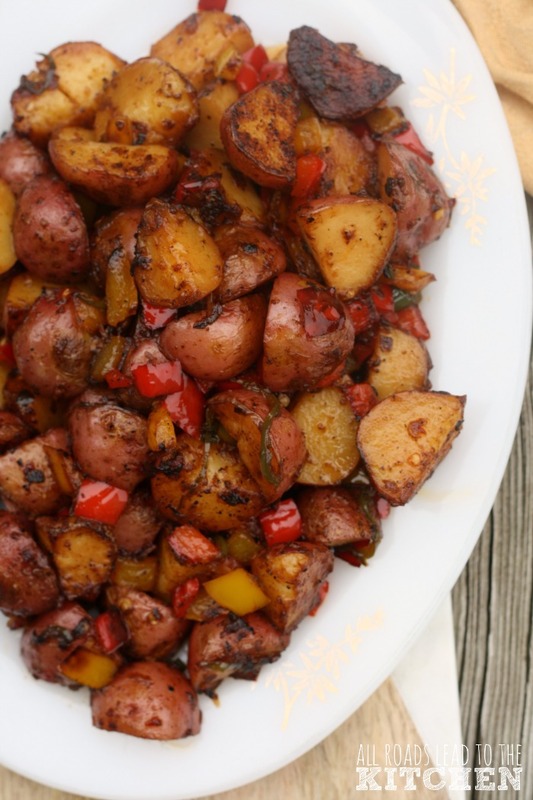 These five-pepper POTatoes are like a five-alarm fire of deliciousness (not heat). from JeffThe420Chef, The 420 Gourmet Copyright © 2016. Reprinted by permission of HarperCollins Publishers. Preheat large skillet for 1 minute on high. Add enough olive oil to coat the bottom of the pan. Add the onion and salt and sauté until onion is translucent. Add potatoes and black pepper. Continue to sauté for 10 to 12 minutes, stirring occasionally. Pour in the white wine and scrape the bottom of the pan to deglaze the crispy bits that have formed. Add the red, yellow, and jalapeno peppers. Cover and cook for 5 to 7 minutes, until all the liquid is absorbed. Lower the heat to a simmer and add the canna-olive oil mixture and grass-fed butter. Gently mix until potatoes are evenly coated. Add chili garlic sauce and lightly toss. Salt to taste, if necessary. Use a slotted spoon to transfer to a serving dish and serve warm. Instead of using Russet potatoes, I used the equivalent of small red potatoes (quartered) when I made this. Directions for making canna-olive oil can be found in The 420 Gourmet cookbook. Approximate THC per serving: 10%: 3.5 mg, 15%: 5.7 mg, 20%: 7 mg (based on infusing 5 grams of cured/dried/decarbed cannabis into 5 ounces of oil). If cooking with cannabis isn't for you, feel free to substitute regular olive oil for the canna-olive oil. I received a complimentary copy of this book in conjunction with TLC Book Tours in exchange for my honest review.